This is an example of a drip irrigation plan designed by Atomic Irrigation using LandFx. We have been using LandFx for about five years. We irrigate all types of projects from residential to commercial parking lots with it. We find it saves us time and helps us maintain a consistent irrigation design process. The following example is a short illustration of how we save time (and you money). The following drip project assumes you wish to you drip emitters for specific plant sizes. In other words, you tell LandFx what emitter and what flow rate you wish to you and LandFx will do the rest. This is very different than using LandFx for dripline design (where the dripline has preinstalled emission devices (or drippers) every 12, 18 or 24″. For this example, the really cool thing is the software reads the planting plan to calculate the pressure and flow of each circuit. Notice I said “planting plan” and not “irrigation plan”! Below is a screen shot of the LandFx emitters preference box (for RainBird dripline). In the example above we have set the 5 gal plants to use (qty) 1, 1.0 GPH emitter. 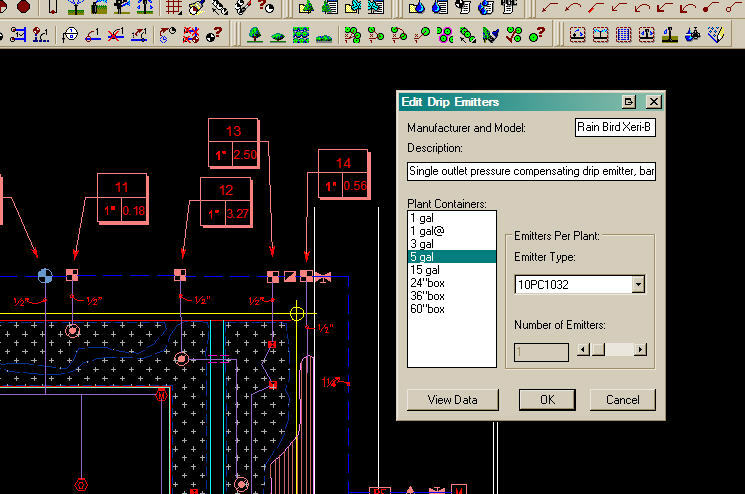 Screen shot (below) of completed LandFx generated drip plan. 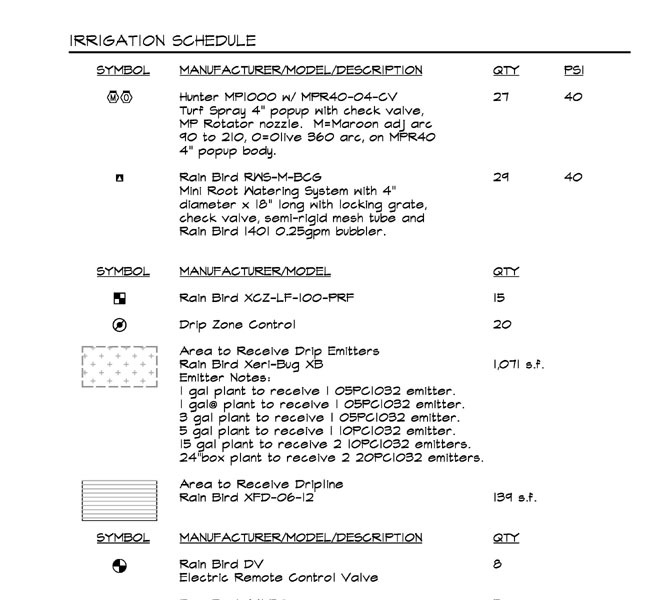 Screen shot below of the landFx generated irrigation schedule showing the “area to receive drip emitters”. All we did was use the LandFx generated planting plan as an xref to the irrigation plan, then matched emitter type/flow rate to each plant size, as shown above. 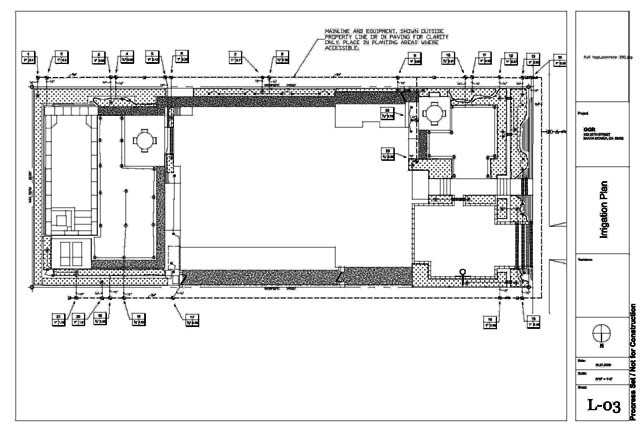 How long do you think it took us to design this plan using this software? How long do you think it would take your office to do the same?